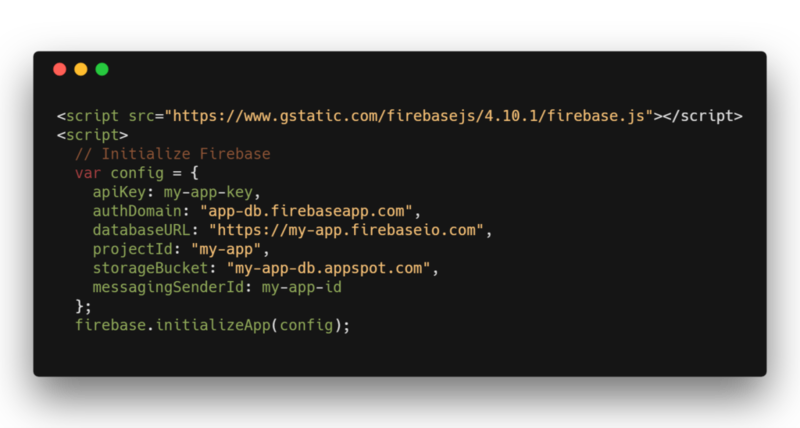 Take a look at this article that describes serverless computing and gives front end developers access with this Firebase use case. At some point, while each of us were growing up, we wished that the adults in our lives would just disappear. They made our lives miserable with their arbitrary rules and restrictions, but they got to do all kinds of fun things. After all, how hard could it be to drive a car, and why did we need them to watch an R-rated movie or to cross the street? Well, front-end developers have a similar fantasy. Their wish is that one day, all back-end developers will move out of their way and let them take control. Front-end developers are responsible for the things people see and use. All the back end developers need to do is create REST APIs and HTTP endpoints that work and return well-formed JSON, and the front end developers do the rest. One way you can get what you want in a timely manner is to go over to the dark side and become a full-stack developer, but where’s the fun in that? Well, there have been some interesting things happening in the world of cloud services, and soon, the tables may finally turn and put front-end developers in the driver’s seat. A new development that is benefiting front-end developers is called serverless computing. Of course, the term “serverless computing” is deceptive. In this article, we take a look at the server behind the curtain, discuss the rise of serverless computing and what that means for front-end development, and show you how you can get started. Serverless computing could just be a fad, and it might eventually join the long list of tech marketing buzzwords like Agile, virtualization, containers, DevOps, AI, machine learning, etc. In his article about serverless architecture, Mike Roberts defines serverless computing as applying to two different, but overlapping, models. These models are Backend-as-a-Service (BaaS) and Functions-as-a-Service (FaaS). In order to run the functions, FaaS services provide a computing platform and a gateway. The computing platform lets you write and deploy code that receives requests and performs the relevant tasks, such as user authentication, running queries against a database, and uploading files to storage. The gateway publishes the functions and provides an API proxy that receives requests from client applications, authenticates them, passes them to the computing platform for processing, and sends the response back to the client. In addition, all of the services provide a developer console, management tools, and various ways to analyze usage and performance. Even if you do not use any other service, there is no excuse for not using commercial authentication. The provider has done most of the legwork, so you do not need to reinvent the wheel. Firebase provides a cloud-based document database called Firestore. A document is a JSON object that stores data in key-value pairs. Like other popular document databases such as MongoDB and CouchBase, Firestore lets you create and manage collections (groups of related documents like customer and sales data). In the following example, a user creates a product that manages a collection of users and locates a document with the information for a specific member. In addition to exploring serverless offerings from Firebase, Google Cloud Platform, Microsoft Azure, and Amazon Web Services, you should also check out the Serverless Framework. It was built to provide tools for deploying and operating serverless architectures. The framework is vendor agnostic. It supports all the major vendors but is designed so that you won’t get locked into a single provider’s solution. In fact, you can start building your app on any of the supported platforms, such as AWS, and at a later stage migrate it to a different platform, such as GCP or Azure. Serverless provides a command line interface for creating and deploying applications, and lets you use the language your project uses to handle configuration and application management. We only scratch the surface of the serverless computing revolution in this short post. There is currently a lot of marketing hype about serverless computing, but it is true that this development represents a significant change in how we build apps. It gives front-end developers the power and opportunity to build what they want when they want, and how they want. Published at DZone with permission of Gil Tayar . See the original article here.